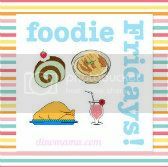 First Foodie Fridays post for the new year and of course its about our reunion dinner! After avoiding having steamboat as our reunion dinner for the past years, we decided to have it this year. 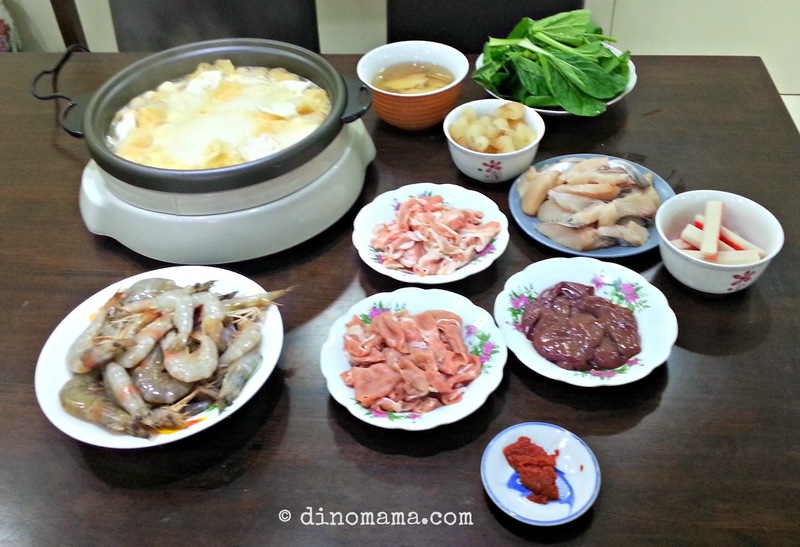 DinoPapa has always been in charge of reunion dinner menu but his new working schedule prevented him from sitting down to plan for a sumptuous menu, so steamboat it is. I am grateful for my mother-in-law who bought all the food and bring them to our house couple of weeks ago. She also has been stuffing our fridge to the brim with food every year because the Chinese believe that a full fridge will ensure a year of abundance food. Since we do not have to go over to my mum's for reunion dinner, we took our time to enjoy the food and chatting with each other. There are not a lot of food but they are all of our favourite food, we had a great dinner together. Do share your reunion dinner photos with us! Simply post them in our facebook page or post in instagram and tag us @din0mama.